According to new research presented this week at the annual World Conference on Lung Cancer in Colorado, a simple blood test could replace the biopsy as the standard for detecting cancer. A biopsy has traditionally been the most reliable way of establishing the presence of cancer cells, but it is also a costly procedure and at times risky. To perform a biopsy, it takes time, which many cancer patients do not have. The findings were presented by thoracic surgeon Dr. Eric Lim at the Royal Brompton Hospital and the UK’s National Heart and Lung Institute (NHLI), at Imperial College London. The trial involved 223 patients with primary or secondary lung cancer and who were about to undergo surgery. Researchers were not informed as to whether the cancer was confirmed or not. In almost 70% of the cases, the blood test was accurate in predicting the presence of cancerous cells. Researchers also compared the genetic abnormalities they found in the blood with samples from tissue and discovered that they also matched, which confirmed their results. 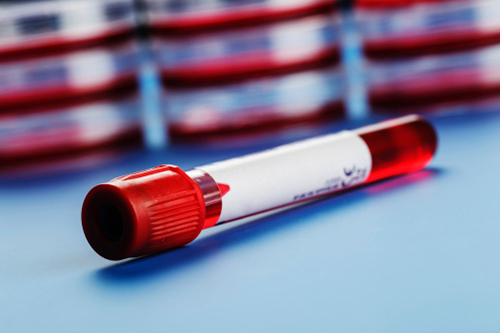 The blood test is not currently seen as an alternative to biopsy for all patients, but if a patient’s blood test does show positive results, it could save them from going through a biopsy before treatment. Patients could obtain their results sooner and receive treatment quicker, which increases their chances of survival. “Pioneering blood test to detect cancer developed at Royal Brompton Hospital,” Royal Brompton & Harefield: NHS Foundation Trust web site, September 10, 2015; http://www.rbht.nhs.uk/media/press-releases/pioneering-blood-test-to-detect-cancer-developed-at-royal-brompton-hospital/. Brazier, Y., “Blood test could replace biopsy for cancer diagnosis,” Medical News Today web site, September 10, 2015; http://www.medicalnewstoday.com/articles/299307.php.